It amazes me how so many Americans put so much stock in the federal government of the United States. I can certainly see why other countries would be concerned with who becomes the POTUS, since they will likely be on the receiving end of their foreign policies. But domestically, it seems a rather pointless, if not obviously rigged. I’m not a big advocate of ballot voting as a general rule, but I do understand the argument for defensive voting, especially since in this lovely democracy, people’s rights can easily make their way to the chopping block. The modern day, economic David and Goliath story is in fact that small budding Entrepreneur versus the mighty and belligerent State. I write about it a quite a bit, but not nearly enough to account for all the fallen would-be heroes in this battle for economic freedom. So many people complain about the Big Box corporations or the large multinationals owning everything. While I have no problem with someone making it big, I take great issue when they manipulate the playing field against their competition and crony up with the state to do it. That’s not winning. That’s cheating. It’s like buying off the referees in any professional sport. If you recall, we did this piece about “System D: The Shadow Economy”. The intuitive thought of many when they hear about the black market is “criminality”. The truth is, it is people trying to carve out a living. The dangerous criminal element is everywhere regardless of regulations. You have people selling food and phone cards or their labor to build, clean, transport, etc. 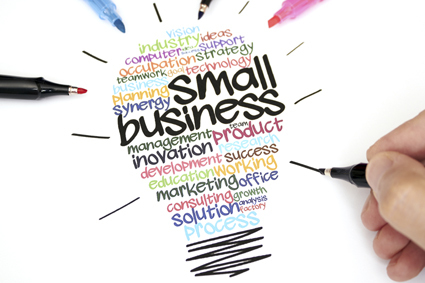 These are all little side businesses for many people who are supplementing their incomes. But even if it was the primary means of support for themselves, all the more reason to leave it alone and allow them the means to support themselves and maintain their independence. Yet the stories keep coming. Another woman – a single mother of six – sold her ceviche to an undercover detective and faces potential jail time. (Source: Fox40 Sacramento) She wouldn’t take the plea deal for 3 years’ probation, instead she’s fighting it. But the fact that the city is willing to pay to prosecute and incarcerate her, and take her away from her kids over a non-existent crime is absurd! The stories seem endless when you start looking just at Lemonade Stand persecutions. Look anywhere on the LemonadeFreedom.com page and you will find countless children and families being prosecuted for what once was an American pastime and a sort of rite of passage into financial responsibility. 3,000 homeless people were denied food because the charity offering it didn’t have a license. (Source: Free Thought Project). The charity, Kookers Kare, out of Missouri was forced to bleach and dump the food they prepared. The argument is that it’s not fair to all those who did pay to play. Well, then eliminate the pay to play regulations. The real unfairness here is that struggling people want to work. They want to offer something that the markets demands. They want to compete too. The defense of these regulations ensures that the market remains rigged against them. The same kitchens used to feed themselves and their families are being used to feed others. But another $40,000 to $80,000 investment in regulations ought to do the trick right? This keeps happening. Larger established businesses had the luxury of starting off without those barriers to entry, but now call for the government to protect them from it. Even Airbnb is seeing a new attack on its hosts, blaming them for housing shortages and the AHLA (American Hotel & Lodging Association) is demanding the hosts pay an additional $2,500 tax. In addition to that tax, you’d not be able to share your home while you’re out of town, and you’d be subjected to city inspections. It makes my blood boil to see the entrepreneurial spirit being killed off at every turn. Every time people have an idea that works it’s either heavily regulated or quelled entirely. To make matters worse, these small business folks are scapegoated for everything from public endangerment to housing shortages. Just stop it. Stop! Small business is the backbone of any economy. Climbing up the ladder is what each person should be doing… kicking the ladder down once you get to the top, however, is absolutely NOT what anyone should be doing. If you concern yourselves with any politics, pay close attention to the local stuff near you… especially if you either own a small business or are thinking about it. This sort of thing (rightly lumped together as “lemonade stand laws”) is absolute insanity. The more I see of it, the more I feel like Alice, standing in the courtroom shouting “you’re nothing but a pack of cards!” We must have a new American revolution, and start with a clean sheet of paper. This is an absolute NECESSITY if sanity is to be restored. But I fear that as long as we have cheap beer and football, that will never happen; so, plan B is to get the Hell out of America. Hey Seth, I got out many years ago. I can say the grass really can be greener on the other side. Propagandists want you to believe that America is still the greatest place in the world. I could easily name a dozen countries where I’d rather live. What countries Bobby? I tried Mexico, Panama, Costa Rica, Colombia, Brazil, Paraguay, Singapore, Philippines and can’t find a similar lifestyle to Montana where we don’t lock the front door, have nice sidewalks, lots of nature, not too expensive, very safe. Everyone has their own wants and needs for their home. I am certain you and I are different. You mentioned Montana. I am a city boy, I don’t living in the countryside (yes, I have done it, don’t like it). I love most parts of Eastern Europe, Spain, Portugal, Croatia, Serbia and many parts of South America, especially Colombia. I would find the lifestyle in Montana horrible. You need to find your own utopia. Is Ireland’s Tax Regime Changing for the Worse?